Between Rice Village and West University, you can definitely find apartments in Rice Village or West University apartments for rent. 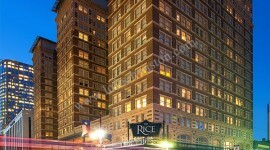 Hanover Rice Village and Portico Kirby can put you where you need to be in this thriving portion of Downtown Houston. 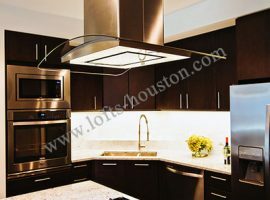 As you shop around for apartments in West U or apartments near Rice University for rent, consider the fantastic opportunities for work and play that will be available to you. Beyond the Rice Village Shopping Center, the West University area offers Rice University, as well as housing opportunities for growing families and young professionals alike. The student culture for this portion of Downtown Houston is also worth noting. The charming boutiques, diverse restaurants, educational opportunities, and gorgeous urban sprawls are one thing, but what does Rice Village/West University offer in the way of West University apartments for rent or even apartments near Rice University for rent? Let’s talk about Hanover Rice Village again. Offering fabulous apartments in Rice Village, Hanover Rice Village promises to put you right in the heart of the area itself. Hanover offers a number of floor plans with 1, 2, or even 3 bedrooms. 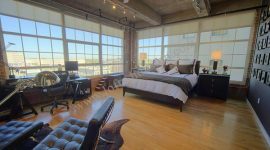 Features include high ceilings, large windows, pet services, and bedrooms large enough for king-size beds. 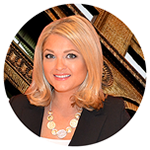 Hanover West University will give you the same location demands, along with some exceptional features. 1 and 2-bedroom apartments are available, and you’re going to be surrounded by restaurants, movie theaters, grocery stores, schools, parks, and just about everything else you can imagine. District at Greenbriar is another great example of apartments near Rice University for rent. Check out floor plans like Alabama (studio) and University (2-bedroom). While Allusion at West University doesn’t have any studio apartments, there are some exceptional amenities, in addition to a nicely diverse range of 1 and 2-bedroom floor plans. Braeswood doesn’t have studios either, but you will get the best of the area, as well as options to choose amongst 1/2/3-bedroom apartments (1 or 2-bedroom floor plans can include a study). Townhomes are also available. 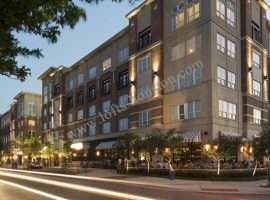 As you search for apartments in West U or apartments in Rice Village, you’ll come across Portico Kirby. Stainless steel appliances and granite/marble countertops are just two features across their range of 1, 2, or 3-bedroom residences. If a studio apartment is essential to you, check out Archstone Toscano. 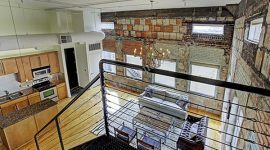 Tons of plans for studio, 1-bedroom, 2-bedroom, 3-bedroom, and even corporate apartments are available. Homes feature unique designs, crown molding, high ceilings, and high-speed internet that’s ready to go.